The story was always going to be amazing. Arkham Asylum had a great plot, combining the twisted, complex characters of the Batman universe with a mature, deep story. 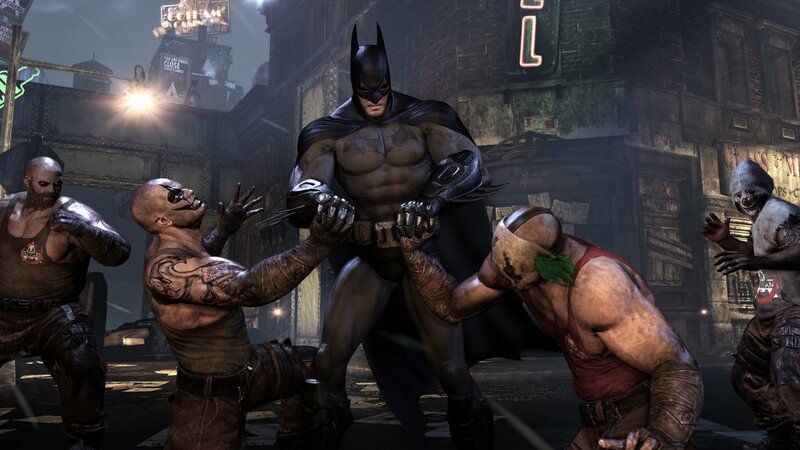 Arkham City does not disappoint. It provides more of the same, only much bigger and much better. There are both new and returning characters, and none of them feel out of place. Even though the characters range from realistic to the absolutely impossible, they all work together to create an entirely believable, amazing world. You will form unexpected friendships, you will be double crossed and even do some double crossing of your own, and all the while you'll be having a blast. 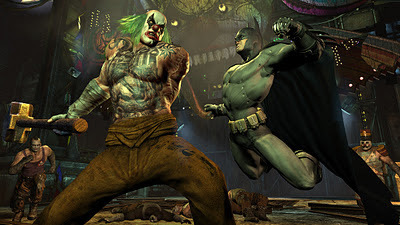 In Arkham Asylum, Batman had all the moves down. Freeflow combat meant that defeating a huge number of enemies was a seamless, simple task. In Arkham City, it's exactly the same. If you played the first game, you'll pick up the combat instantly. You won't need to do a tutorial because it's literally the same. There are more moves and combos, but it doesn't need any explanation. Why fix it if it isn't broken? Where Batman didn't move so freely however, was his gliding. As the majority of the game took place inside, there weren't many opportunities for amazing aerial skills, and the gliding was very limited. This, unlike the combat, did need fixing. And what a repair job Rocksteady have done. Taking down people as Batman is so much fun. To glide around a city, you need an array of moves to keep the gliding going, as nobody wants to stop every twenty seconds or so, to grapple back up to a building to start again. Using the dive bomb technique, you can extend your glide by more than double. Diving down and then pulling up sharply can easily take you to above your starting height. Already, this is looking much better, and the biggest improvement hasn't even been mentioned. The grapnel boost means that grappling to a building isn't the end of your glide. Usually, you would grapple to the ledge and climb up. The grapnel boost allows you to speed up and launch past the point of no return, sending you above the building and back into a speedy glide. It is possible to get around the whole map with these two techniques, without ever putting your feet down. As far as open world games go, this mode of transport is by far the best. Unlike a lot of open world games, everything is open to you right away. You don't have to wait till halfway through the game to progress to the next area. You can go literally everywhere. There is one exception, but that is specific to one mission and makes up a very tiny part of the whole map. Whilst it is good that you can go everywhere instantly, it is also slightly disappointing. We're so used to the world being revealed bit by bit, that when nothing else opens up, the map suddenly feels a lot smaller than it is. You can have been the whole way around the map before you've done many missions. Still, the world is big enough, with a good amount of interiors on top of that, to provide enough space for everything the game needs. There are some amazing enemies, which all look fantastic. electrocute enemies. With each gadget being useful in numerous situations, it feels like you have twice the arsenal that you actually have. Making a glorious return are the Riddler's Challenges. In the form of visual puzzles and trophies, Riddler's challenges are spread all over the city, both inside and out, for you to find. Find enough and you can unlock side missions, character trophies, concept art and challenge maps. They play a much bigger role this time around, and all in all, including the Catwoman content, there are 440 to find. Finding them is so much fun, and very addictive. A new feature for the series are side missions, which generally include helping or finding a character from the Batman universe, and using a variety of skills to complete the tasks. They are really fleshed out and could have easily been fit into the main story, that's how detailed the side missions are. There is so much to do in Arkham City, it's almost unbelievable. One of the only flaws is that the boss battles are too easy. They require some thought and careful use of your gadgets, but they don't really pose much of a challenge at all. Figure out the technique to take them down, and just do that a few times. The end battle in particular is a disappointment, and is over in a couple of minutes. Still, it's only a minor complaint and just ramp up the difficulty to eradicate the problem. Batman has once again emerged from the shadows, and it is a triumphant return. 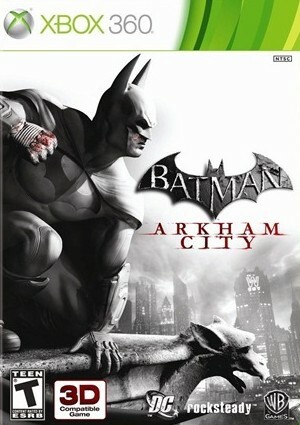 Gorgeous visuals, a deep storyline, so many extras that you might just fall over and gripping, addictive gameplay, Arkham City means business. Fans of Batman will love it. Fans of superheroes will love it. Fans of... anything, will probably love it. It's a fantastic game with almost no flaws. Definitely one of the greatest games you'll come across this year.